What's the Buzz? 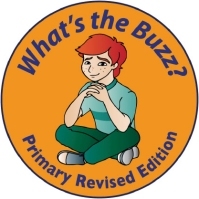 - Outline for What's the Buzz? Outline for What's the Buzz? What's the Buzz? A social skills enrichment programme for primary students, was released in 2011 and found its way into dozens of countries and hundreds of schools and organisations. This 16 lesson highly structured, role-play and play-based program was designed to teach children how-to think socially and how-to make friendship work. What's the Buzz? for Early Learners: A complete social skills foundation course is brand new (2015). It follows the same celebrated format as its predecessor. It's built for teachers, school support workers, parents, care givers, and a range of allied health professionals, to awaken social consciousness in youngsters. Over 16 lessons students become immersed in a variety of essential relational skills, stimulated by the experiences of our much-loved character, Through activity, discussion, role-play and quizzes, children learn how-to become a better friend and a more flexible social thinker. Both programmes are designed for all children, but are especially valuable for those who struggle to appreciate the free-flowing reciprocal nature of social interactions. It has proven to be helpful for children with higher-functioning forms of autism spectrum disorders, those identified with language disorder, specific learning difficulties, auditory processing disorder, non-verbal learning disorder, pervasive developmental disorder - not otherwise specified, ADHD, reactive behaviours, anxiety, shyness and social phobia. Why teach social and emotional literacy to children? Collective research confirms that without explicitly teaching children how-to successfully connect we run the risk of some becoming discouraged, or worse. Sadly, when young human beings can't find a way to belong to peers a 'faulty logic' clicks in allowing them to believe that what they're doing is working, even though it is not - their thinking becomes stuck! Teaching social and emotional literacy with the same commitment and vigour we've traditionally taught academic skills increases a young person's confidence and competence to get along with others and embrace life. What is the programme's evidence of effectiveness? What's the Buzz? breaks each skill into individual components and directly models them so children can see how they look and sound. Social thinking is also highlighted through role-play, rehearsal, feedback and play-based activities in the context of either a small group or as a whole class approach. In this way children gain the understandings, the language and confidence required to transfer the newly acquired skills to other settings (Attwood, 2007; Durlack et al, 2008; Godfrey, Pring& Gascoigne, 2005; http://www.casel.org). 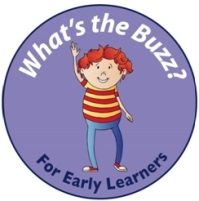 Goodbye Buzz - Let's finish up together on a good note, and in What's the Buzz? for Early Learners find out how Archie fixed his social problem! Attwood, T., 2007, The complete guide to Asperger's Syndrome, Jessica Kingsley Publishers, London. Durlak, J.A., Weissberg, R.P., Dymnicki, A.B., Taylor, R.D., Shellinger K.B., 2008, 'Enhancing students' social and emotional learning promotes success in school: A meta-analysis'. Godfrey, J., Pring, T., Gascoigne, M., 2005, 'Developing children's conversational skills in mainstream schools: An evaluation of group therapy', Child Language Teaching and Therapy 21 (3), 251-262.